The Pacific Crest Trail Association is an eclectic band of trail junkies who champion the needs of the Pacific Crest Trail. 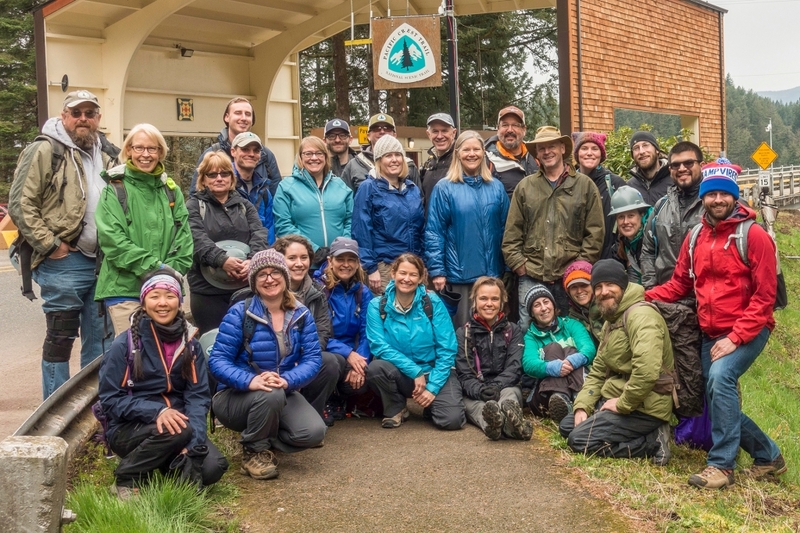 From across the country and the world, our team travels throughout the mountain ranges of the American West to support the much larger PCT community in protecting, preserving and promoting the trail. We’re committed to the idea that by supporting our members, volunteers, partners and donors, we’ll succeed in safeguarding this National Scenic Trail for the benefit of future generations. We are the Pacific Crest Trail! We are a non-profit singularly focused on preserving, protecting and promoting the PCT. Read about what drives us. Constantly in motion, our staff of professionals is widely recognized as leaders in the world of trails. Meet the Staff. In five towns along the trail, our regional staff manages the trail. See where they are. Highly capable and qualified, our Board of Directors works tirelessly to oversee and guide our work. Meet the Board. Document central! We’re extremely effective and care a lot about transparency. See our financial statements, strategic planning documents and annual reports. Looking to join the team? We hire passionate, hard-working people. Look for jobs. Want to work on a trail crew? Look for trail projects in your area. From Mexico to Canada, groups of volunteers band together to maintain the trail. The trail exists because of these champions. Read their story.